I’ve only managed to dig up a few snippets about today’s band- NY based minimal synth act Hysterica Passio. Drawing name inspiration from an outdated term for dementia used in Shakespeare’s King Lear, the band put out but one 12” single in 1982 before their demise two years later. These two tracks would be featured on various DIY Flexi-Pop compilations soon after, but would never record another note. Naturally, I’ve no Youtube videos, band photos, or links to pick up their material in mass-quantities. The original vinyl single however, should one be lucky enough to find a copy online, fetches approximately $80. 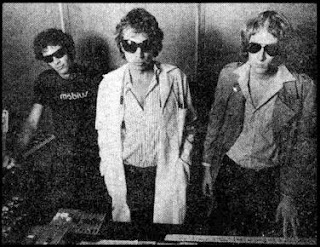 Formed in San Francisco under the pretenses of making ‘scary, funny music,’ Chrome was created by a drummer/synth player and a lone guitarist in 1976. Though the band would start as a straightforward synth-driven psychedelic project, their music would quickly take a turn for the more experimental and strange as the band shifted lineups after their debut. Over the course of four years, the band, (mainly) consisting of Helios Creed and Damon Edge, would release a slew of albums, their development accelerated by their extremely prolific nature. Their songs were part science fiction epics, part pre-punk fury, and mostly deconstructed experimentation. This short incarnation of the band would serve as a blueprint for the upcoming post-punk and industrial movements, Chrome joining the ranks of early innovators Suicide, Silver Apples, and Throbbing Gristle. When the band split in 1983, Damon Edge relocated to Europe and continued on under the same name, releasing records consistently until 1995, when he died of heart failure in Los Angeles. 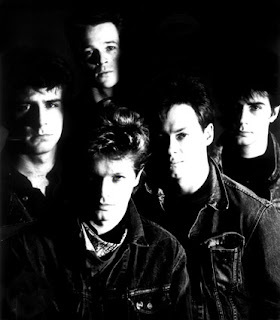 Upon Damon’s death, Helios reformed the band out of tribute, carrying on sporadically with new and original collaborators both live and in the studio. Here’s two tracks I’ve uploaded from the original incarnation of the band. The first is a more rare but solid track, released in a more widespread form via recent compilations of the band’s earlier material, and the second is the lead-off track from their 1977 record Alien Soundtracks. 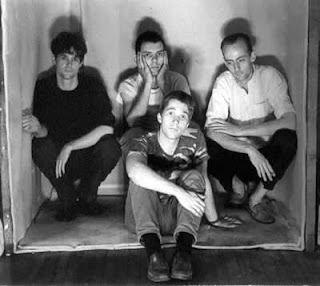 Hailing from Australia, today’s band Severed Heads relied early on tape loops and abrasive synthesizers, and over the course of several years perfected their noise-based craft into a blend of experimentation and pop music. 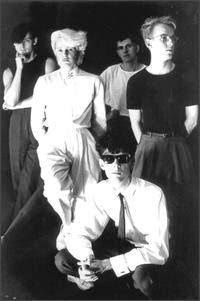 Unlike most bands featured on these pages, Severed Heads are still alive and kicking, having gone through several record deals and lineup changes (Tom Ellard remaining the only original member to date) since their conception and peak. The band would disappear from the music industry in late 1999, but continues to release underground and independent recordings and live collections on a semi-regular basis. Their most recent work includes a soundtrack to a DVD film entitled The Illustrated Family Doctor in 2005. I’ve uploaded two of my favorite Severed Heads tracks from their earlier days… The first, ‘Triangle Tangle Tango’ is a favorite of mine to spin, featured on 1989’s Rotund For Success. The second track, ‘We Have Come to Bless This House’ is featured on their classic 1985 record City Slab Horror. Severed Heads official website– for more information, hilarious commentary by Tom Ellard, purchase links, and more. Happy friday, ladies and gents. Today’s band is one I could find little information on aside from their origin and lone release info. 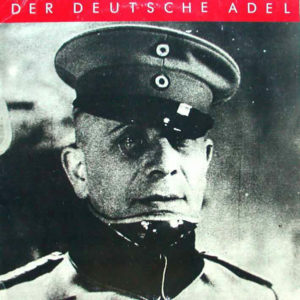 Der Deutsche Adel is the name of the band, a German post-punk band with a killer synth-heavy sound and just one self-titled release under their belt. Can’t seem to dig up any more info about the record, but it’s easily one of the best of its kind. EDIT: For more information about Der Deutsche Adel, please visit THIS informative fan page! 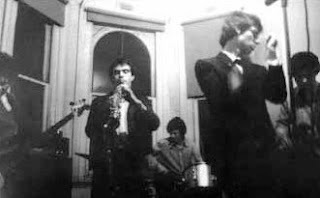 I feel as if I’ve made a dozen allusions to this band in previous posts without any actual information on them, so for today, I shall be profiling Crime & the City Solution. The band was one of several formed from the demise of the Birthday Party, 4AD’s premier scuzz-punk unit led by Nick Cave. The band existed previous to the Birthday Party, featuring an unknown cast of characters among mainstay singer Simon Bonney, but no recordings ever surfaced until the mid-80s, with a more infamous lineup. A strict comparison could be made between the bands, for distinctive guitar work and a similar blues-based drawl was also a basis for Crime & the City Solution’s repertoire. Alongside Bonney, other prominent members of the group have included Birthday Party guitarist Rowland S. Howard, Mick Harvey of both BP and Badseeds fame, Swell Maps drummer Epic Soundtracks, and Einstürzende Neubauten’s Alexander Hacke (aka Von Borsig). Was this a supergroup? Perhaps by definition, but the band survived several lineup shifts and have released five full-lengths and a handful of EPs, each one different depending on contributors. Though each Crime record is a unique and solid effort on their own, I’ve uploaded a duo of tracks which both appear on 1986’s Room of Lights, my favorite of their records. The first is their best known song, the epic and powerful ‘Six Bells Chime’ and the second, the closing track from the record. Today’s writeup will feature a two track single, an exciting and stellar collaboration by two great experimental artists, both of which need no introduction to most. Einstürzende Neubauten (translation: collapsing new buildings) formed in 1980 in West Berlin, the brainchild of several local avant-garde musicians. Since then, the band has deconstructed the face of popular music, remaining an active, prolific, and powerful force in industrial and experimental music. Lydia Lunch is an American musician and poet. She was the former frontwoman of influential NYC no-wave act Teenage Jesus & the Jerks until the band disbanded in 1979. She then persued a solo career, offering up several classic records and collaborations, and has since explored film, poetry, and other creative disciplines. 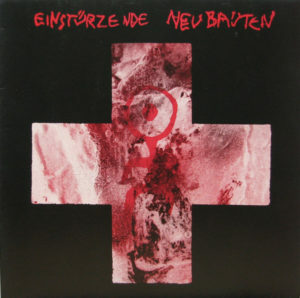 In 1982, as the two were gaining steam and exploring the boundaries of music with their own respective acts, Einstürzende Neubauten would record but two tracks with Lydia Lunch, also featuring contributions from Birthday Party/Crime & the City Solution guitarist Rowland S. Howard. What resulted is a true masterpiece of experimental work, a frightening two track 12” single entitled Thirsty Animal. Combining the subtleties and talents of both units, these two pieces are among the most powerful and harrowing tracks that either would record. 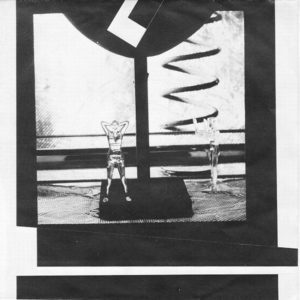 Some classic minimal synth for you today, ladies and gentlemen… Today’s band is the Fast Set, a one man synth project who’s first and only 7” recording was also the very first release on Axis, aka 4AD. The Fast Set is comprised of avant-artist David Knight, who signed with with Axis records upon its inception in 1980, just before label-head Ivo Watts-Russel was forced to change the label’s name to 4AD. 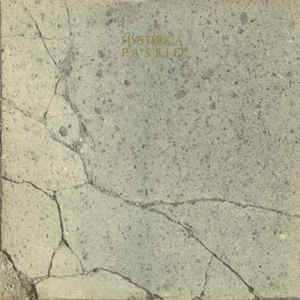 As a one man project, the Fast Set recorded just one 7” single for the song ‘Junction One’ in 1980. The b-side of the single was a synthetic dirge rendition of ‘Children of the Revolution’ by T.Rex. The band’s only other recorded moment was a cover of T.Rex’s ‘King of the Rumbling Spires,’ released on a Some Bizzare compilation in 1981. Afterwards, David disbanded his project and went on to work with the likes of Danielle Dax and the Shockheaded Peters. *DOWNLOAD LINKS REMOVED* Click here to purchase these via 4AD’s official site.